In simple words, Anemia means iron deficiency. Anemia deprives the capacity of the blood to carry sufficient oxygen from the lungs to all body cells. Consequently, you feel weakness, irregular heartbeat, tiredness, and fatigue. 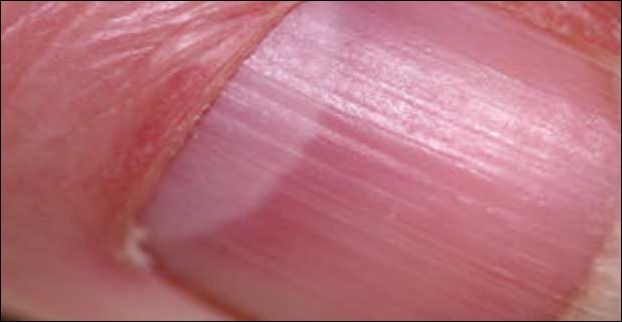 You may have also dizziness, concentration difficulties, shortness of breath and headache, insomnia, pale skin, brittle nails, cracks at the corners of the mouth and leg cramps. The accident victim, surgery patients, a bleeding ulcer or certain cancer patient, people with chronic bleeding, kidney problems and diabetes are at a higher risk for developing anemia. Besides, women tend to become anemic much more easily than men because of heavy menstrual periods. In children, anemia is most commonly due to insufficient iron in the diet. Moreover, women with chronic dieters, distance runner, athletes especially female and people on a restricted vegetarian diet can have iron deficiency anemia. And, pregnant women are, too, predisposed to anemia because of the demands of the growing baby and placenta. In fact, the most common type of anemia is due to iron deficiency, which is usually caused by blood loss. Apart from iron deficiency anemia, there are other types of anemia like Hemolytic Anemia, which occurs when red blood cells are destroyed more quickly than normal. The reason behind it may be hereditary or one of the diseases, including autoimmune disorders, severe hypertension, abnormal spleen function, leukemia and other cancers. Moreover, there are also two rare types of anemia known as Thalassemia and Aplastic anemia. Thalassemia is an inherited disorder whereas Aplastic anemia is caused by infection, genetic disorder, exposure to toxic chemicals or radiation. Megaloblastic or Pernicious is another type of anemia which is caused by a deficiency of vitamin B12. At the same time, deficiency of folate, a type of vitamin B can, too, cause anemia in pregnant women because they need extra folate for the developing fetus. Besides, elderly people and alcoholics also need extra folate. As a matter of fact, vitamin B12 is essential to make red blood cells. Your body must absorb enough vitamin B12. For absorption of vitamin B12, intrinsic factor, a type of special protein, is utmost necessary. This protein is produced by cells in the stomach. Hence, it is clear that if your stomach does not produce a sufficient amount of intrinsic factor, you can develop a B12 deficiency. It is notable that one-third of older adults produce an insufficient amount of intrinsic factor, at the same time they can no longer absorb B12 from food properly. Here, it is worth mentioning that vitamin B12 is found only in animal products. So, if you are a strict vegetarian, you are at risk and you must consume fortified foods and take also a supplement. HOW MUCH IRON DOES A PERSON NEED? 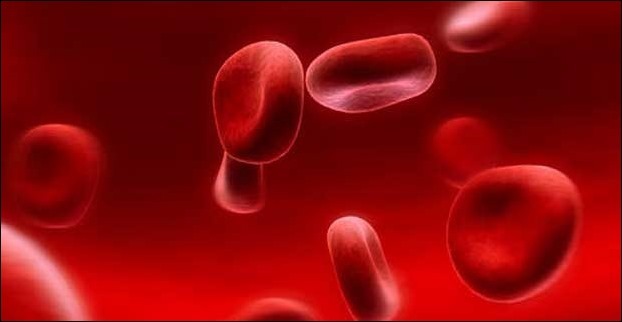 To make new red blood cells, the human body recycles iron. The body loses an average of 1 mg for men and 1.5 mg for women during reproductive years. Now that, the body absorbs a very small percentage of dietary iron hence, the Recommended Dietary Allowance (RDA) suggests to consume more than what is lost- 10 mg a day for men and non-menstruating women. While menstruating or nursing women should receive about 15 mg of iron daily. And, pregnant women should take 27 mg of iron every day. 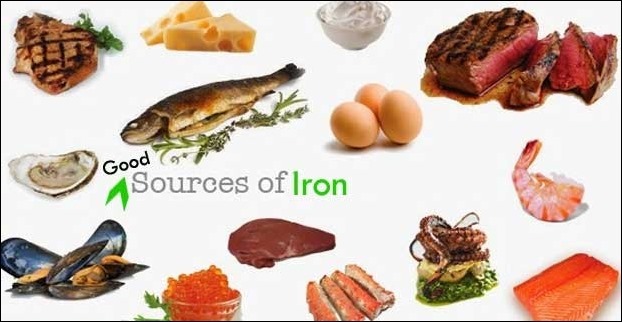 As mentioned earlier, the great sources of iron are animal products like fish, liver, lean meat, poultry, and egg yolks. As a point of fact, the human body absorbs much more of the heme iron found in these foods rather than the nonheme iron found in plant sources like soy, dried fruits, green leafy vegetables and iron-enriched cereals and bread. Therefore, strict vegetarians should increase their intake of these foods because they are not completely absorbed by the body. Although, vitamin C enriched food to a plant-based food enhances the body’s absorption of nonheme iron. Hence, whenever you eat iron-fortified foods, first of all, combine them with a source of vitamin C.
Good sources of vitamin C and citrus fruits especially orange juice, which increase the body’s iron absorption. Lentils, beans, green leafy vegetables, corn, asparagus and grains for folate. Swiss chard, spinach, collards, okra, quinoa, parsley, rhubarb, peanuts, and chocolate should be consumed in limited quantity because in these foods oxalate is found that can bind with iron and your body cannot fully absorb it. According to Yoga gurus, Yoga is the best alternative, though for this you need to give some time to perform the Yoga postures on a daily basis. Trikonasana, Sarvangasana, Surya Namaskar, Paschimottan Asana, Yoga Nidra and Shava Asana are some Yoga postures which should be inculcated in the everyday regimen. At the same time, Pranayama, Dhyana mudra, Gyan mudra and Prana mudra are also recommended to combat anemia. In addition to these, there is also a significant way to get rid of anemia. For this, you should prepare your foods in iron pots and utensils. Because iron utensils increase the quantity of iron from food. For example, 120 ml of tomato sauce cooked in an iron pot provides 0.7 mg of iron. Hence, proper food and the practice of pranayama and Yoga postures help you to cure anemia. Your diet can increase or decrease your cholesterol level !